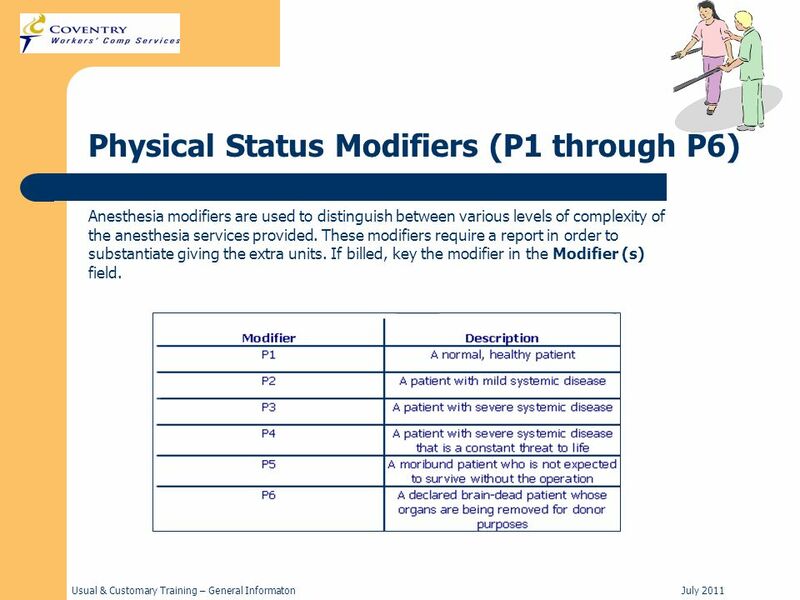 4 Usual & Customary Training – General InformatonJuly 2011 Physical Status Modifiers (P1 through P6) Anesthesia modifiers are used to distinguish between various levels of complexity of the anesthesia services provided. These modifiers require a report in order to substantiate giving the extra units. If billed, key the modifier in the Modifier (s) field. 5 Usual & Customary Training – General InformatonJuly 2011 If the necessity of the services has been verified, and the service authorized, additional information may be requested about the procedure, or an online search may be performed. 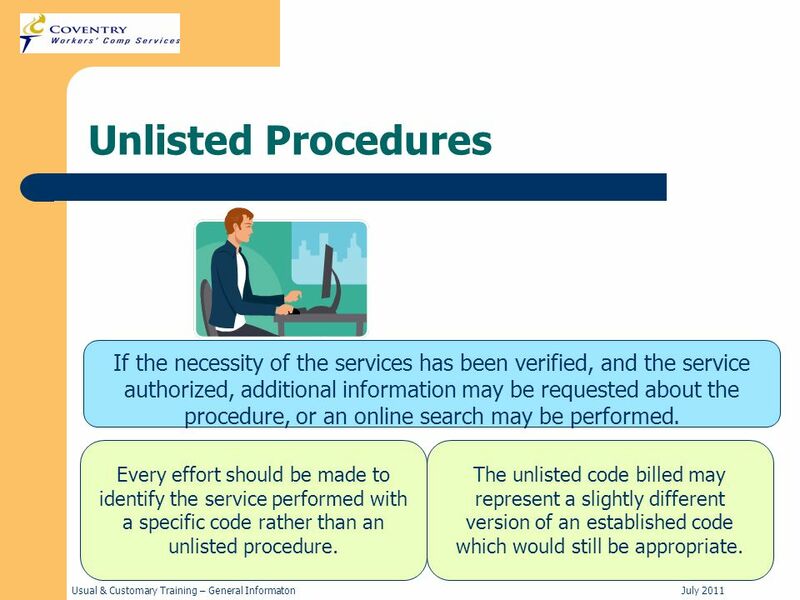 Unlisted Procedures Every effort should be made to identify the service performed with a specific code rather than an unlisted procedure. 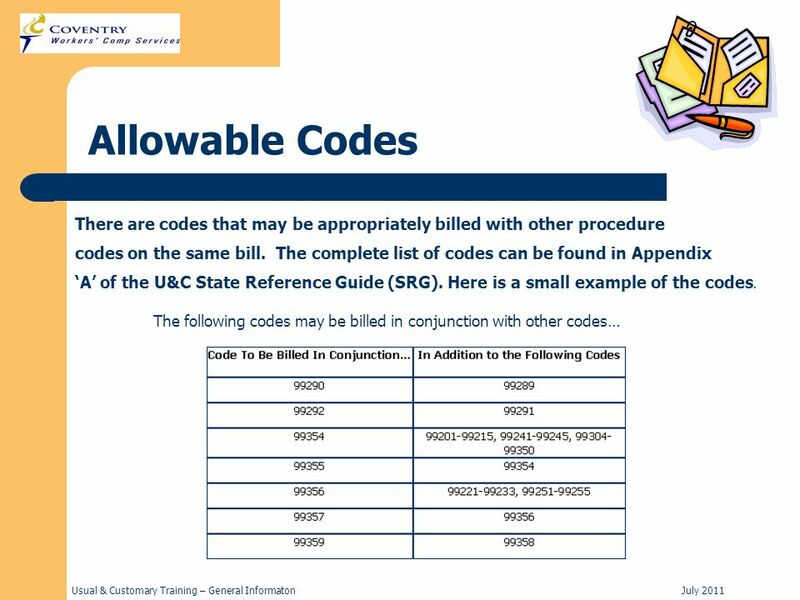 The unlisted code billed may represent a slightly different version of an established code which would still be appropriate. 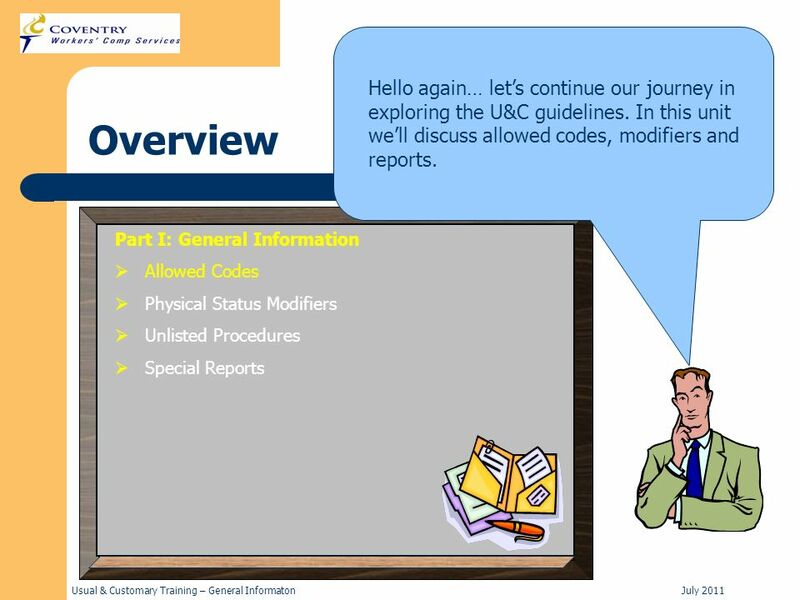 6 Usual & Customary Training – General InformatonJuly 2011 Unlisted Procedures Every effort should be made to identify the service performed with a specific code rather than an unlisted procedure code. 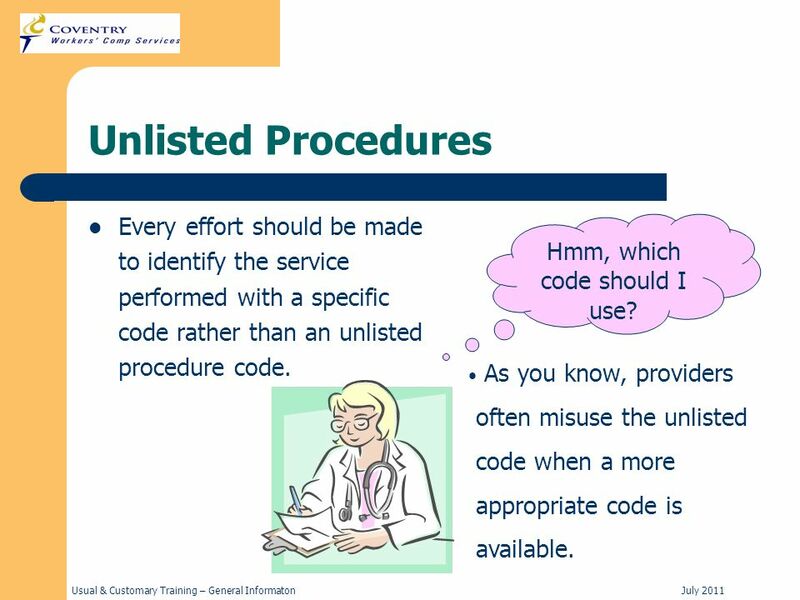 As you know, providers often misuse the unlisted code when a more appropriate code is available. Hmm, which code should I use? 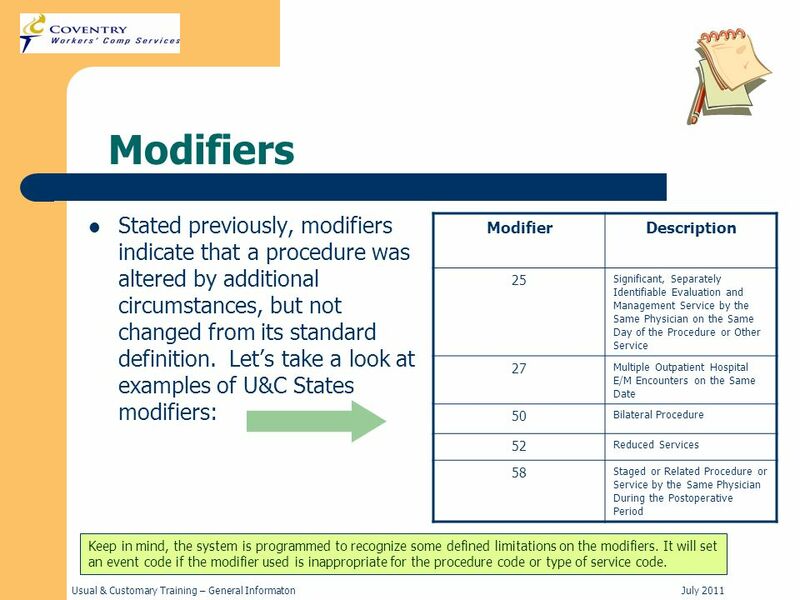 8 Usual & Customary Training – General InformatonJuly 2011 Modifiers Modifiers indicate that a procedure was altered by additional circumstances, but was not changed from its standard definition. Modifiers may indicate circumstances such as: Only part of the whole procedure was performed. A bilateral procedure was performed. 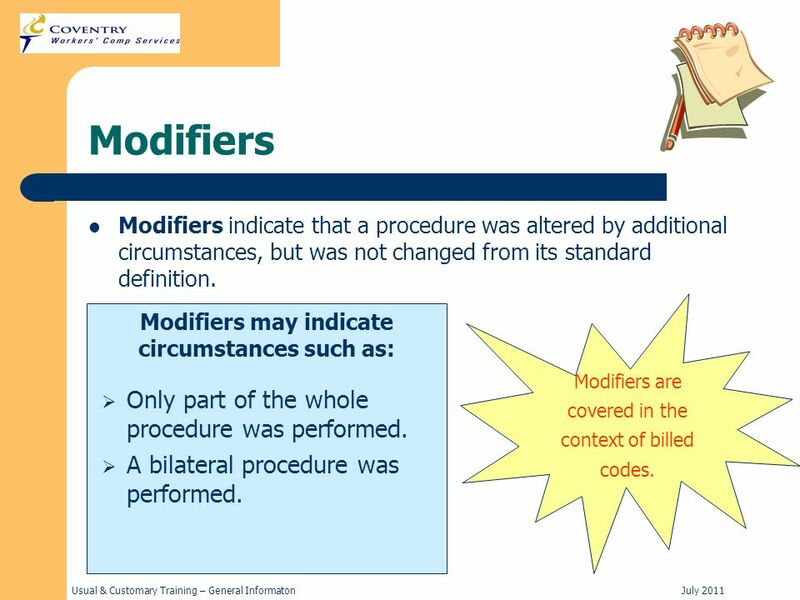 Modifiers are covered in the context of billed codes. 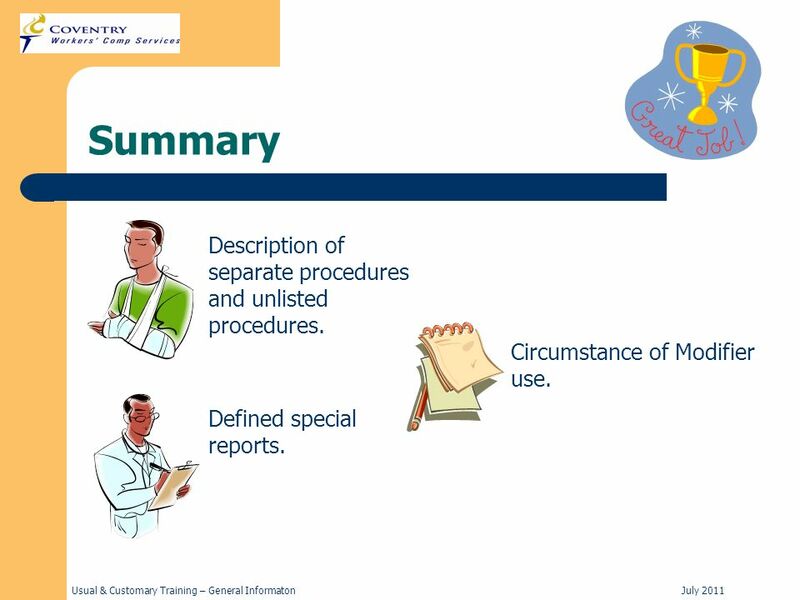 10 Usual & Customary Training – General InformatonJuly 2011 Summary Description of separate procedures and unlisted procedures. 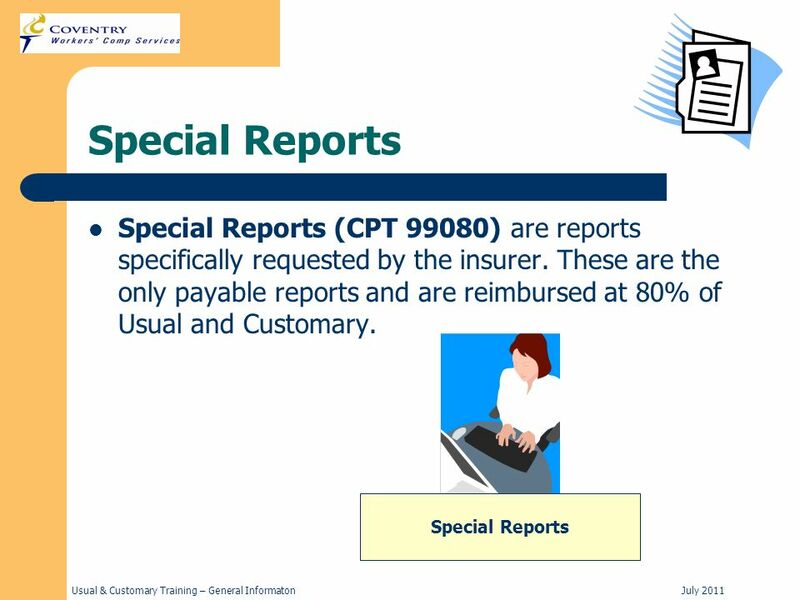 Defined special reports. Circumstance of Modifier use. 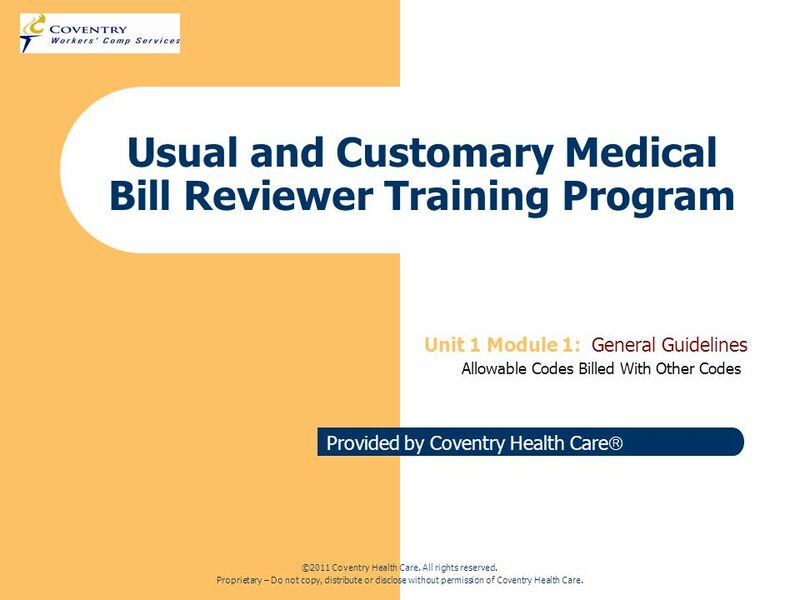 Download ppt "Provided by Coventry Health Care ©2011 Coventry Health Care. All rights reserved. Proprietary – Do not copy, distribute or disclose without permission."